In addition to cover letters, resumes, and interviews, job applicants are subject to another layer of scrutiny. Their social media profiles are now being checked out by many employers. An individual’s social media profiles and online presence contain a wealth of information; there is much more there than on a one page resume. For employers interested in using social media to screen job candidates , there are benefits and potential risks involved with this process. 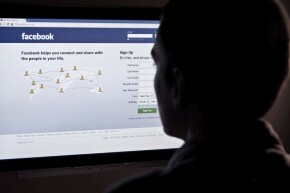 The so-called social media background checks are being implemented by employers across the country. According to an article written by Leslie Kwoh on wsj.com, employees are not only checking for inappropriate photos or statuses. They are using LinkedIn, Facebook, Twitter, and other sites to check applicants’ honesty, loyalty, and team-skills. Also, any connection to illicit activity will not be taken lightly by most employers. Many employers utilize social media profiles to see if potential candidates present themselves in a professional light and if they will fit in with the company culture. This screening process allows employers to see the grammar used and type of content shared by candidates. Are candidates sharing information and articles relevant to their career? Are they showing passion for their field? These checks can help employers check a potential employee’s credibility. While social media background checks can help employers gain an understanding of potential employees, there are risks involved. The hiring process always contains potential dangers, but obtaining information via social media makes employers more vulnerable to legal trouble. Viewing the social media profiles may reveal many personal factors which are unlawful for an employer to consider in an employment decision. These factors include the applicant’s race, religion, pregnancy status, disability, age, marital status, and in some locations, the applicant’s gender expression or sexual orientation. The employer can caution against being held liable for this information by keeping record of their search practice and policy, assigning an individual outside of the hiring process to search the employee, and following all hiring laws. Follow the Online Solutions Blog for more relevant and timely HR news. I’ll post tips and updates regularly. You can learn more about the HR solutions I provide by calling 612-963-4421. I think using Social media is another great way to check the background of a candidate these days. Going to someone facebook page can tell you a lot about some one to see if they will fit in your organization before hiring them. Online Solutions does not recommend social media to be the only way to check background checks on potential candidates. We suggest to still use a third party background check company to get the most accurate and reliable information. Online Solutions works with third party background check provides to find you the best service and pricing.